The Quooker is quickly becoming an essential appliance in designer kitchens across the UK. Highly recommended by kitchen designers, the Quooker is changing the face of cooking and revolutionising the kitchen trade. 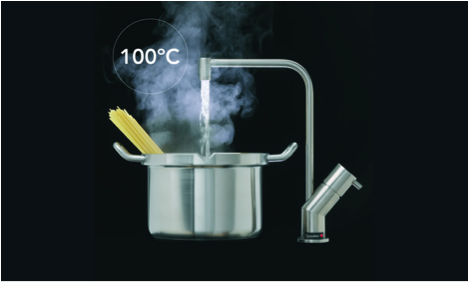 The Quooker supplies instant boiling water through a tap, connected to a small hidden tank. It really does take away the pain-staking task of waiting for the kettle to boil. We have compiled a list of 10 daily tasks where having a Quooker tap will speed you up dramatically. 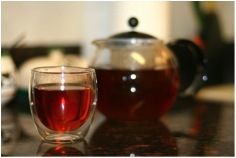 According to research, allowing your tea to cool for 16 minutes allows it to reach optimum temperature after adding boiling water. Viruses, bacteria and parasites gather on bottles and equipment and can cause illnesses to develop. Sterilising them in boiling water ensures it is free of germs. Typically known as a student meal, pasta is easy to make – it simply consists of boiling, stirring and straining. The Quooker can even speed this one up! Blanching is a process where food is immersed in boiling water and then plunged into cold water to halt the cooking process. This process removes unpleasant flavours. 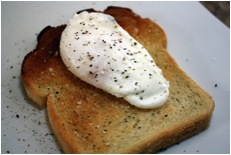 The theory behind making the perfect poached egg apparently lies behind creating a whirlpool in a pan of boiling water to help the egg hold its shape. Soaking pots and pans in hot water before cleaning them lets you remove grease and food much easier. Great for kitchen cuts, boiling water and salt was historically used as a natural cleaning product. It provides a great emergency disinfectant. Pouring boiling water over candle wax loosens the wax and makes it easier to remove. A quick and handy solution to having to prepare food, these snack pots allow consumers to just add water. They are popular during the winter months not only to provide warmth in bed but also for application to the body, typically for pain relief.